Yes! Believe it or not, Laminine for pets is the next best thing. Laminine is also good for your dog, cat, and other household pets or animal for better skin, hair, & energy. Human cells are not far different from pets – we both have cells that needs constant nourishment, repair, or rejuvenation from sickness, diseases, food, or environment. In fact, pets also experience stressed or hormone imbalance. Laminine’s unique “repairing mechanism” is able to balance these hormones or restore damaged cells to its original state. Laminine for pets or dogs is the ideal health maintenance. It will give your dogs or cat much more energy, better skin, silkier and thicker hair, and faster recovery from all types of cell-damaged diseases or sickness. Laminine for pets is the fresh and growing trend that many Laminine users and pet-owners endorse. – Open capsule & put 1/4 powder into your palm, let your pet lick powder from your hands. Depending on the condition, you can give this every other day or daily as needed. – Open capsule & put 1/3 powder into your palm, let your pet lick powder from your hands. Depending on the condition, you can give this every other day or daily as needed. – You can give 1 capsule every 3 days or daily if terminally ill.
– You can give 1 capsule every day as a supplement or 2 capsules per day if terminally ill.
– Open capsule & put 1/4 powder into your palm, let your pet lick powder from your hands. Depending on the condition, you can give this every other day or daily as needed. 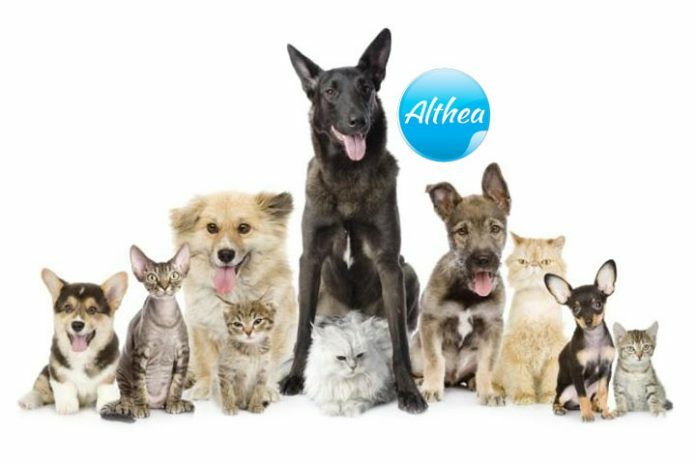 You can follow this dosage for cats or dogs in general or those with small-medium pets with long hair. How best to use Laminine to help my cat that has been diagnosed with feline kidney failure? A resounding yes. For more more info, please go to this Laminine for pets link. Hi. I have my CRF cat on Laminine (1/4 caps twice a day) for 2 weeks now. He is going very well but he vomits foam every morning. Why? Should I stop it/reduce it? If your cat is up and about, just continue the dosage. You can slow down the healing process by just giving 1/4 cap per day. The vomit maybe just be a healing reaction. Pets who has kidney failure like humans will need Laminine as a lifetime maintenance. Can I give DIGESTIVE+++ to my dog? What is dosage for her,she has 10 kilos. While there are no known studies that prove that human probiotic supplements can harm a dog, veterinarians suggest it is better to use probiotics designed for animals. Just like Laminine, these supplements (LifePharm Digestive) are generally safe to be taken by animals. I have a dog with CKD. We started on 7th April with a pill every 3 days, then on 13th April every other day, now since 21st April a pill everyday, however the crea went up to 326, urea 23.2, phos normal and SDMA 28. Laminine is protein, but its the kind of protein that a body needs to repair cells. You can give it once a week.